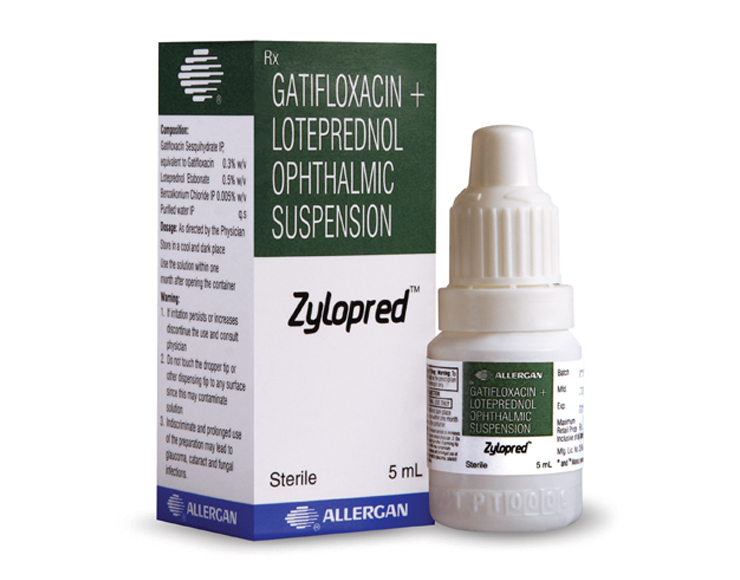 Loteprednol and Gatifloxacin Ophthalmic Suspension is a combination eye drops, which contains antibiotic Gatifloxacin & an anti-inflammatory agent Loteprednol. Apply one or two drops of Loteprednol + Gatifloacin suspension into the conjunctival sac of the affected eye(s) every four to six hours. During the initial 24 to 48 hours, the dosing maybe increased, to every one to two hours. Frequency should be decreased gradually as warranted by improvement in clinical signs. Care should be taken not to discontinue therapy prematurely. Available in 5ml plastic dropper bottles.